Belarus and sanctions tend to go together in the headlines. In its short twenty-year history, the country has been sanctioned for rigging elections, squashing the opposition, violating human rights, and chocking independent media. Minsk not only sees nothing wrong with such behavior, but also supports similar violations by other states by providing them with arms and helping them skirt Western embargoes. Though back in the 1990s Belarus was proud of giving up the Soviet nuclear weapons, today it is selling sensitive equipment and technology to states suspected of building nuclear programs. This week, the United States imposed sanctions on the Belarusian Optical Mechanical Association (BelOMO) and BelTechExport of Belarus for violating the Iran, North Korea, and Syria Nonproliferation Act. Other violators sanctions were all well-known for illicit trading in missile and weapons of mass destruction technology. Belarus entities were first sanctioned under the Iran, North Korea, Syria Non-Proliferation Act in 2004. In April and September of that year the United States imposed sanctions on Belvneshpromservice, one of four Belarusian state companies engaged in sales of arms and equipment, for conducting business with Iran since January 1999. In March 2011, the United States imposed sanctions on Belorusneft company for concluding a $500 million contract with the Iranian company NaftIran Intertrade in 2007. The sanction threshold for such contracts is set to a mere $20 million. Washington has frowned upon Belarus’ weapon sales for a long time. In 2009, Belarus Arms Transfers Accountability Act was be enacted directing the US Department of State to regularly update the Congress on the country’s arms exports. 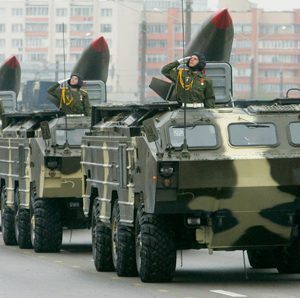 According to the official records alone, Belarus arms sales amounted to $1,000,000,000 between 1999 and 2006, which makes the 10-million-people state the eleventh largest weapons exporter in the world. The under-the-table amounts of arms exports are considerably larger, however. What effect will these sanctions have on the guilty Belarusian companies? The sanctioned firms and individuals are prohibited from concluding any US government contracts. They are also denied US assistance and US defense technology exports. In short, they are cut off from doing business with Washington. While these measures may sound harsh, they are unlikely to change the behavior of the Belarusian companies, given that virtually no business deals have been signed between the United States and Belarus since the country’s international isolation. Therefore, it is unrealistic to expect that Belarus authorities stop selling arms to rogue states and skirting arms embargoes: after all, they have almost nothing to lose. 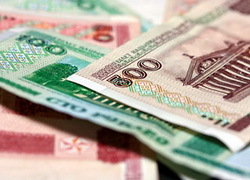 This year's devaluation of Belarusian currency was the largest in the world for the past 20 years, according to the World Bank. Independent media already called the day of official devaluation "the black Tuesday". However, Belarusian state media largely ignore this news focusing on the visit of Alyaksandr Lukashenka to Kazakhstan and the Cannes Festival in France. Yesterday, the National Bank of Belarus lowered its official exchange rate against the dollar by 36 per cent. However, it is still impossible to freely convert Belarusian roubles into foreign currency because very few are willing to sell. That suggests that the market is still unhappy about the official exchange rate. Unable to buy foreign currency, Belarusians are trying to get rid of their roubles by buying consumer goods such as refrigerates, furniture and even stocking up on food supplies. That helps Belarusian producers, but lowers the value of the Belarusian currency even further. In terms of real income salaries in Belarus have dramatically plummeted. Radio Liberty quotes an employee of MAZ, one of the largest Belarusian state-owned automobile plants, saying that in the past their salary was around US$800 and now it was merely US$200-250. In terms of economic prosperity Belarus seems to be moving to the level of Moldova, one of the poorest countries in Europe. The main reason is that the subsidies from Russia are no longer as generous as in the past, which hits hard the Soviet-style Belarusian economy. Independent web site AFN.by recalls the old Soviet saying according to which Belarus can be ruled by the one who can resolve its problems in Moscow. This saying is relevant today even more than before as Lukashenka is courting Russian leaders hoping to get money. "Our independence and sovereignty, unfortunately, hangs on these ill-fated energy supplies and raw materials" said Lukashenka during his recent trip to the oil rich Kazakhstan. He failed to mention, however, that it was his policy which made the unreformed Belarus economy so vulnerable. Belarus already started selling its most precious assets. The recent evidence of that is the sale of the state share in International Potash Company, one of the world's largest exporters of potassium-based fertilisers. It is also reported that Belarus negotiates selling a stake in Belaruskali, one of the largest potash producers, to Chinese investors. Belarusian weekly Nasha Niva writes about the coverage of the economic crises by Belarusian state television channels. Dramatic devaluation of the Belarusian currency was almost unnoticed by state media. Visit of Lukashenka to Kazakhstan, Icelandic volcano eruption and changes in Ukrainian legislation appeared to be more interesting for Belarusian state television than depreciation of the Belarusian rouble. Not a single senior official gave a press conference on the day of devaluation. Officials avoid interviews as the government is combating the worst economic crises in Belarus since the collapse of the Soviet Union. The official Russian-laguage "Belarus Today" devotes its front page to the ongoing visit of Lukashenka to Kazakhstan, the Canes Festival in France and election results in Spain. Devaluation is only mentioned on the second page. The largest Belarusian-language daily Zvyazda follows the same pattern. Apparently, this is the consequence of the government policy not to focus media attention on economic problems. On the political trials front – following prison sentences to several activists, including the former presidential candidate Andrei Sannikau, other presidential candidates were found guilty but released from arrest for the time being. That was the fate of Uladzimir Neklyaeu, Vitali Rymasheuski and four other opposition activists whose trials ended on May 20. However, more opposition activitists are likely to jailed in the coming weeks as trials aginst those who protested against election fraud in December continue.